At Shine, we aim to provide a professional yet warm and friendly environment in which to relax and enjoy being pampered and looked after. We are a socially responsible business, providing young people with jobs and opportunities that they may not have otherwise. 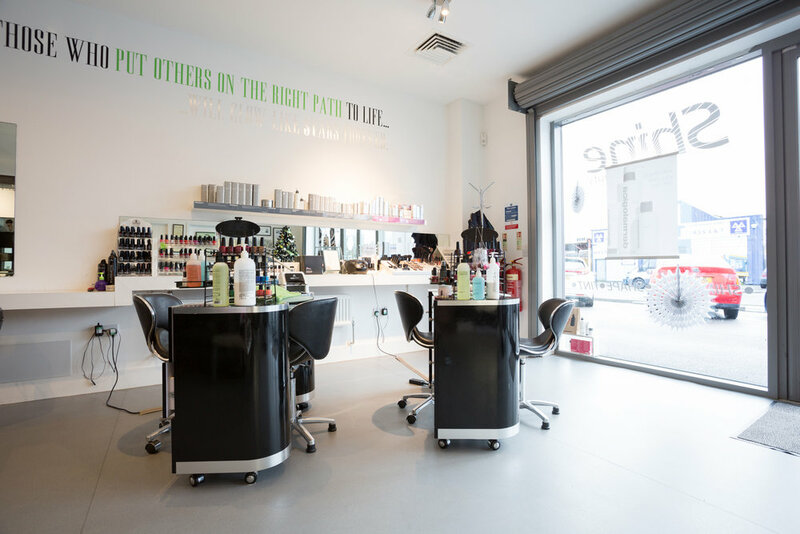 We are a team of fully qualified and experienced beauticians offering treatments such as gents and ladies haircuts and a whole range of beauty treatments from massage to spray tans, waxing to nail treatments. All the detail of the signature treatment with the added bonus of heated mittens for an intense moisture hit. Beautiful for the winter months or before a special occasion. Great for those on a tight timescale. A luxurious hand treatment programme to help prevent preature ageing and reduce the signs already evident. A pampering 'facial for your hands'. Kick back for a whole hour of pure pamper including massage and a choice of over 60 colours. A relaxing treatment to soothe away the aches and stresses from hard working feet with the aid of heated booties. Don't panic! We stock black flip flops in sizes 2-8 to save you smudging your tootsies. This soak off gel polish gives a professional, high shine finish lasting 2 weeks! Dries instantly with LED technology so no waiting time, just gel and go! Ideal for wak, bitten or problem nails, giving them chance to grow. Perfect for holidays and special occasions with over 70 shades to choose from. Indulge in a pampering manicure with oils and hand massage and top it off with gel polish. Enjoy all the benefits of the Zen Spa Pedicure with gel polish to finish off the look and no more drying time needed. Gels are soaked off the nail using foil wraps to care for the delicate nail plate, gently buffed, filed and finished with a restorative base coat and oil. Tinting requires a skin test 24 hours prior to treatment. Sienna x provides a beautiful. natural looking tan without the harmful effects of the sun. Instant colour ensures you are evenly covered. Allow 8 hours after application for the tan to develop before showering. If you have particularly sensitive skin or have had allergic reactions to beauty products before, we recommend you arrange a patch test with us first. Your best skin starts here. Seeing skincare as a necessity to our daily health, Dermalogica endorse the power of professional product and skin therapists to change the way you see your skin and care for it. The flagship skin treatment includes professional double cleansing, exfoliation, extractions (as needed), masque,toner and skin protection. Customized to your skins specific needs that day, this treatment could be different each time you receive it. Including 15 mins consultation. Targeted treatment for problem areas including dehydration, congestion and ageing concerns. Including 10 mins consultation. Cleanse, gentle exfoliant, targeted eye massage and pressure points, contouring eye mask and your choice of hand and arm or scalp massage. Unlike tweezing, where single hairs are pulled out one at a time, threading can remove short rows of hair. This provides a more precise control in shaping eyebrows and is gentler on the skin. Tea Tree wax is available for more sensitive skins; please request on booking. Children under the age of 16 MUST be accopanied by an adult for ANY waxing treatment. Begin with an indulgent back massage and then sink back for a tranquil face and scalp massage, including cleanse and targeted face mask. Anyone under the age of 18 must be accompanied by an adult. This service is not available for people below the age of 12. In need of more moisture, strength or repair? Treat your hair to a conditioning treatment to get that desired healthy look. Please ask in salon for a bespoke price to suit your occasion. Please book well in advance for group bookings. Using Paul Mitchell The Colour XG, Professional only, rich, permanent cream hair colour. Please note all colour treatments require a skin test 24 hours prior to treatment. Prices do not include a 'Cut & Finish' or 'Blow Dry'. Give your hair a touch of colour with lovely blonde natural lights or soft lowlights. Give your hair a healthy shine with a semi colour to compliment your natural colour or go for a pure clear shine. Gives a look of natural sun kissed highlights. Alternatively try a blend from darker root to gradually lighter ends. Added to finish the look for the most natural finish. Had a hair disaster? Given the nature of such treatments, we recommend a face to face consultation where we can give professional advice on what action to take and quote for treatment. Let us help put it right. Discover the latest in hair colour technology with this 2 step strengthening treatment. Colour secret is a hair colour strengthening system, added to colour to improve the health o the hair, reducing damage, breakage and makes it up to 4x stronger! Please ask for this to be added to your chosen colour. 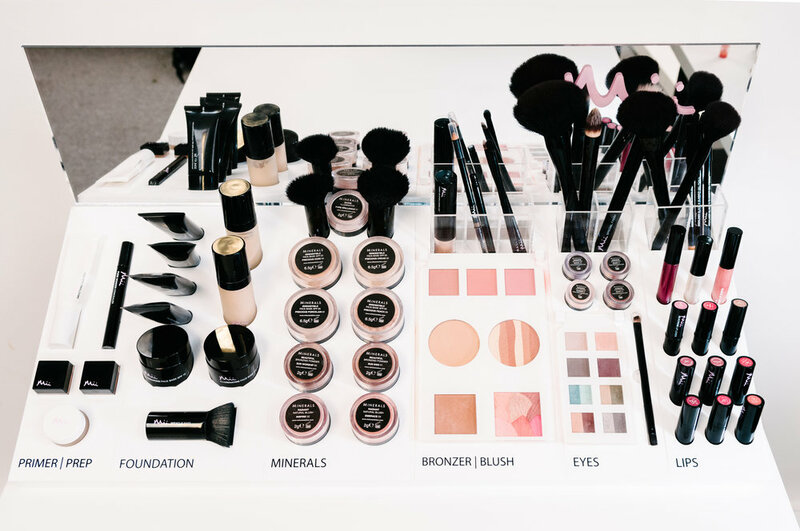 We offer wedding hair and makeup upon request. (Please allow 4 or more weeks' notice when booking to avoid disappointment). Alongside Abi & Laura we regularly have beauty & hair apprentices training through the salon. Please enquire about the special rates that may be available when booking. 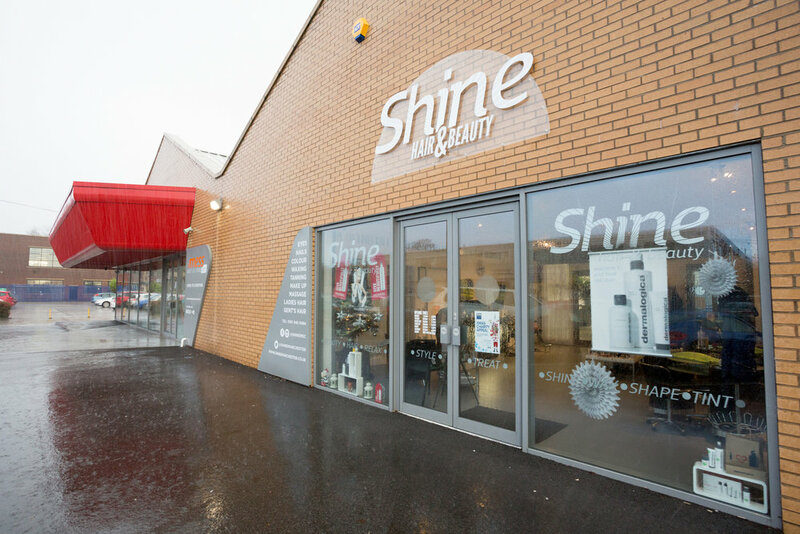 Sign up to receive exclusive monthly offers and news from Shine.